Serving the needs of the greater Seattle area for more than 35 years we provide the best towing experience available. 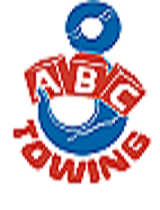 Our towing service is fast, our equipment is well maintained and our employees are dependable. We are fully licensed, insured and annually inspected by the Washington State Patrol. As founding members of the Towing and Recovery Association of Washington we stay at the forefront of legislative changes in our industry. We work directly with the Washington State Patrol, Tukwila Police Department, King County Sheriff's office and the Seattle Police Department. Email me jobs from ABC Towing, Inc.